It was a lesson in grace wrapped in cheerful plaid paper. The knock on the door was unexpected. The present was even more unexpected. Unexpected and undeserved. A friend stopped by and pressed it into my hand—a gift from a whole group of our friends, my husband’s and mine. And I felt so unworthy as I stood there staring at the brightly wrapped package. It had been a hard year and, many times, my attitude towards circumstances and situations and people had been terrible. And yet I held in my hands evidence of a love overwhelming. Later, as my husband and I opened the package and saw how people had pooled together to bless us in a difficult season, the tears flowed unchecked. I had been struggling so hard to understand grace. Unmerited favour. An undeserved gift. And there in my hands was a tangible expression. I believed in Jesus. I knew that He loved me and died for me and forgave my every wrong. I was so grateful for what He did, but I often wondered why. Why does He love us so? As I looked at the gift, His still, small voice whispered to my heart. This is it. This is grace. You’ll never deserve it. You’ll never earn it. You’ll never understand it. It is a gift that is given to you anyway, no strings attached, given purely out of love. It’s why I came. Grace brought a baby to a dusty, hay-filled manger. Grace brought shepherds, grimy from sleeping in the fields, together with kings to kneel before the King of kings. 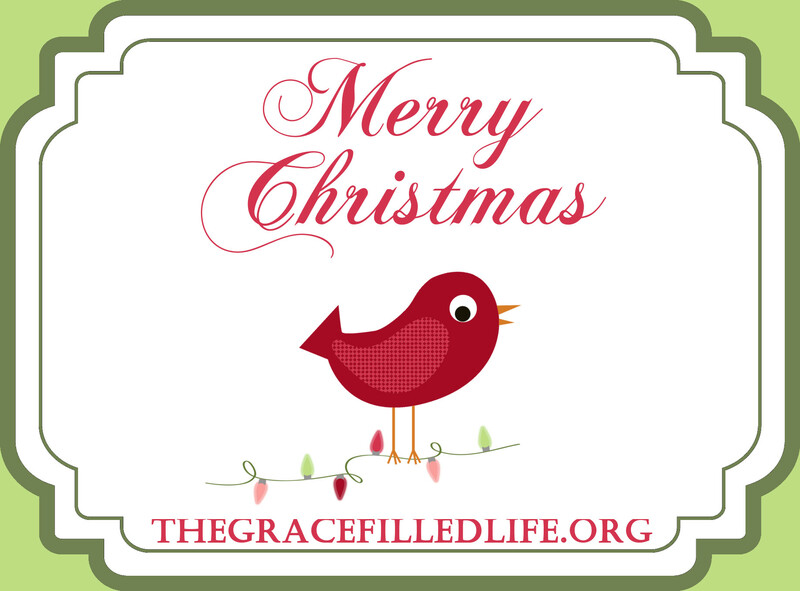 Grace rang clearly through angel voices: Peace on earth and goodwill towards men. Goodwill towards men. God’s heart is a heart of love. Grace brought Jesus to that cross where blood and mercy flowed. And grace softly calls us to kneel before the cross. Like shepherds and kings on a starry night in Bethlehem, grace calls us to kneel before the King of kings so we can be made whole. Every mistake erased. Every sin forgotten. We’ll never deserve it. We’ll never earn it. We’ll never merit it. But it is a gift that is given to us anyway, no strings attached, given purely out of love. I will always remember that Christmas. Always. Because that Christmas, a red plaid box opened my eyes in a new way to the most beautiful gift of all. Beautiful post. Grace is amazing isn’t it? It’s one of those gifts we can never get enough of, won’t ever truly be able to appreciate, and yet, cannot fathom going without. It’s one that we’ll always be in awe and wonder over…and I imagine God wouldn’t have it any other way. Blessings to you and Merry Christmas!